As a teen, Sarah Hentges had Wonder Woman and Princess Leia as her pop culture role models. One flew an invisible plane, and the other lived in another galaxy. Neither offered much of an idea of how a young American woman should be. As a Washington State University graduate student, Hentges is on the trail of other American teen icons like Natalie Wood's Deanie, who suffers sexual repression in the 1961 Splendor in the Grass, and Lindsay Lohan's 2004 Lola, who is striving to be the center of attention in Confessions of a Teenage Drama Queen. She has dedicated much of her post-graduate education to examining the evolution of teen films and how girls today are shaped by pop culture, whether it's delivered to them by Britney Spears coming of age in Crossroads or Hilary Swank struggling with sexual identity in Boys Don't Cry. She even wrote a book about it, a rare feat for someone who hadn't yet completed her doctoral thesis. "I think part of it is luck," she says of getting Pictures of Girlhood published in 2005. "I had a topic that was really hot at that moment." Hentges hit upon the idea while working on her master's degree at Oregon State University. During a teen film class there, she noted that all the movies focused on boys' experience. "At the time, there weren't that many films for girls," she says. And in the boy films she encountered general girl stereotypes: the girlfriend, the tomboy, the trashy girl, and the mean girl. They weren't the best examples of girls for girls. "A lot of our cues came from films that weren't really about us or for us," says Hentges. And yet, girls may pick up outside cues more than boys, she says, adding that she saw a need for more complex and varied examples of girls on film. But the focus was soon to change. As Hentges dove into her project looking at teen movies, a rich new wave of films began flowing into theaters, from mainstream Disney remakes like Freaky Friday to avant-garde and independent projects like Love and Basketball—about an African-American teen who follows her dream to become a professional basketball player—and Saved!, which concerns a girl at a Christian high school who gets pregnant trying to cure her gay boyfriend. "In the last 10 years, films about girls...have just exploded," says Hentges. Which led her to the next step: "I wondered, how are girls making sense of all these films?" In her book Hentges looks at the girl images these films present and considers how they affect popular perceptions of girlhood. She focuses on films made in the last 20 years and considers how they deal with issues like race, sexuality, music, empowerment, and rites of passage. In many cases, the mainstream films show a world where everybody is well off and the biggest problem is deciding what to wear to the prom, she says. But we all know adolescence is a wild ride. Nor are teens, who can be quite thoughtful about their dreams and circumstances, as stupid as mainstream culture pretends, she says. Now independent movies and movies made by women writers and directors are addressing these points. To support her work, Hentges has relied on scholarship and resources in WSU's Comparative Ethnic Studies and Women's Studies programs. Now Hentges has had her own coming of age—that of honing an expertise. 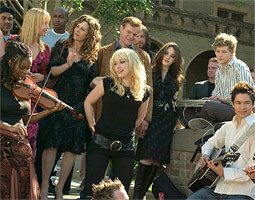 When she finished her masters degree, she decided she was done with the subject of teen films. She thought, "that was not the kind of academic I wanted to be," says Hentges, who completed her Ph.D. this summer. "But now it's coming full circle, where I realize it's very much a part of what I want to do." Some films simplify the teen experience, but others are pushing into new space, redefining what it means to be an American teen. Those films, tackling the serious subjects and presenting alternative role models, may effect cultural and social change already underway in our society, says Hentges. "The more pop culture can act in those empowering ways," she says, "the better off we'll be." 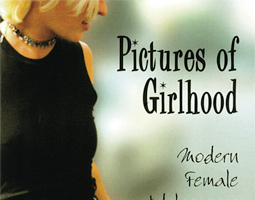 Click here for information about Sarah Hentges's book, Pictures of Girlhood.